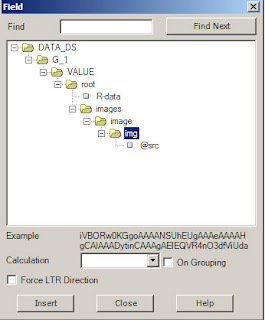 ore-windows-1.0.zip, the Oracle R Enterprise packages. 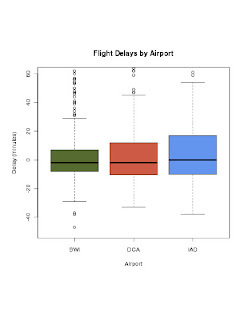 As an example, I’ll generate a box and whiskers plot using the ONTIME_S airline on-time performance data. Box and whiskers plots are not available out of the box in BI-Publisher. 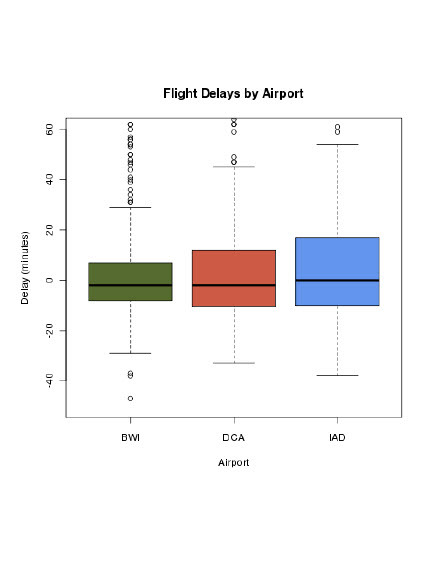 The plot will use a subset of the dataset to focus on the DMV Airports: Reagan Airport (DCA), Dulles Airport (IAD) and Baltimore Washington airport (BWI) for 2007 and 2008. 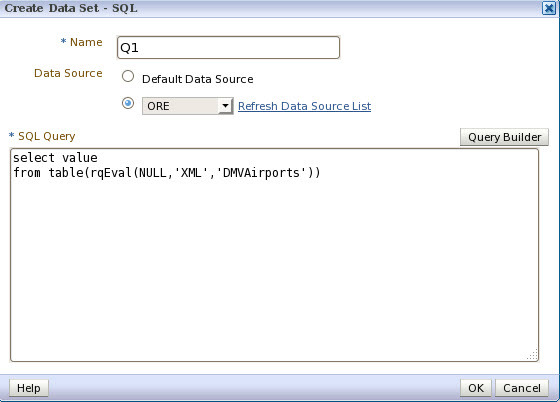 The R script has to be modified a bit to "escape" the "&" sign (in red), if not ontime will be considered a prompted parameter. 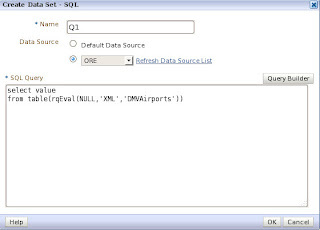 This script can be run using SQL*Plus. 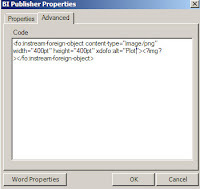 Create a PDF output et voila!!! 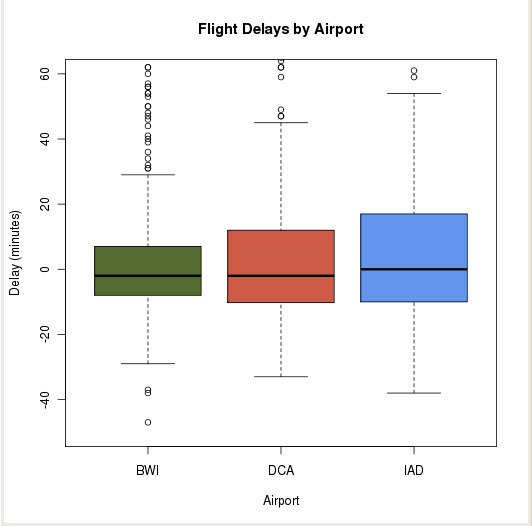 Too bad I live 10 mins from the airport with the worse performance!